This hasn’t worked out yet–maybe September? Haha. 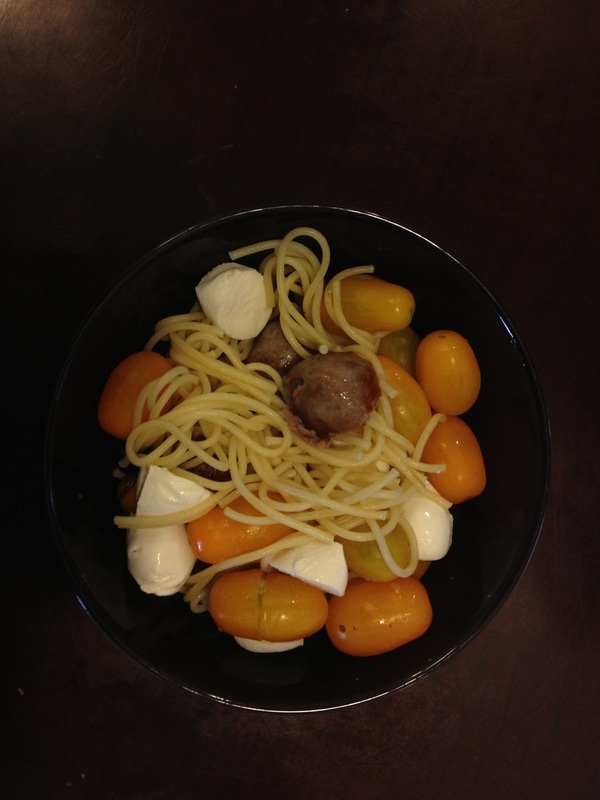 Last week I cooked spaghetti (which I didn’t drop on the floor this time), Italian sausages, and mixed that with mozarella and the cherry tomatoes I picked from Tangerini’s Spring Street Farm a few weeks ago (more about that later). So one meal down, 24 to go. Maybe I should buy a kite. Just about half way there. I finally did this, and it went very well. I’ll post about that soon. One out of three isn’t too bad. I visited the Museum of Fine Arts, so two more museums to go. Lily and I have this scheduled to happen on Sunday 9/8 when I’m back in California. Here’s hope the weather permits it! I can’t believe I’m half way through the year. So weird.